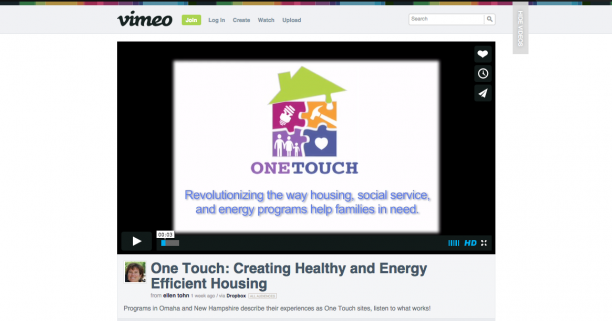 One Touch programs in Omaha and New Hampshire are effectively using their collaborations to link health, housing, and weatherization/energy programs. Program partners describe their experiences in a new One Touch video. Check it out!